If we haven’t heard it once, we’ve heard it a hundred times – what you post today can/will haunt you tomorrow. Last week the headlines were streaming with Kathy Griffin losing jobs and sponsors for her inappropriate posting, and reporter Terry Frei losing his journalist position at the Denver Post for his raciest Tweet — this week Harvard announced they have rescinded about ten student acceptances for posting obscene memes. This Class of 2021 formed a messaging group on Facebook, at one point, “Harvard memes for horny bourgeois teens” — according to two of the incoming freshmen that wished to remain anonymous. 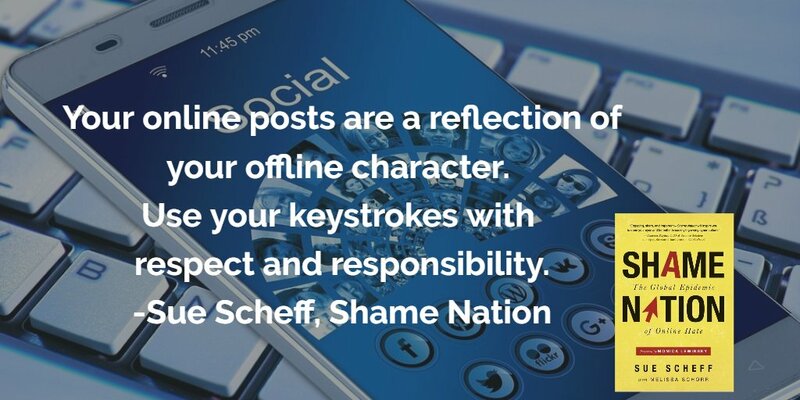 In my upcoming book, Shame Nation, we discuss how your online persona can and will give people an idea of who you are offline in respect to your character and compassion for others. When you witness students acting like this, it’s very difficult to see that they have any empathy towards humanity or any type of moral code within themselves.